A major survey of global executives has found that physical theft (41%) is the most common problem for companies in Asia, followed by information theft (31%) and regulatory or compliance breaches (28%). Globally, the average company loss to fraud has increased by 22%, largely driven by the credit crunch and tough economic climate. Companies lost an average of $8.2 million to fraud in the past three years, compared to last year’s $7.6 million. More than four out of five companies surveyed (85%) have suffered from corporate fraud in the past three years, up from 80% in last year’s survey. For larger companies the proportion suffering from fraud rose to 90%. Though in the beginning, the fine would be only Rs 200, the government is trying to amend the act and in future the fine may go up to Rs 1,000. 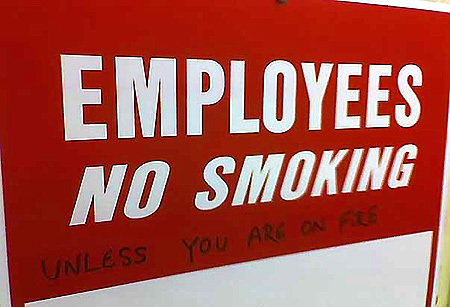 Even the employer can be fined if somebody is found smoking within the office premises. From October 2, smoking would be banned in all public places. Private offices and other establishments can no longer have designated rooms for puffing cigarettes. The ban also includes hotels and restaurants. According to Health Minister Anbumani Ramadoss, smokers will have to step outside into open space if they wish to smoke. Indian contract manufacturing market is expected to touch $2.46 billion by 2010 with a CAGR of 41.7 per cent from $869 million in 2007, a report said. “Indian companies, through their high quality-low cost production models, have bagged some impressive deals in the contract manufacturing space. These deals validate India’s potential to achieve a larger share of the global manufacturing outsourcing market,” consulting firm KPMG said in its latest pharma report. Winning outsourcing deals signify Indian companies have been able to win the trust and confidence of multinational companies, it said. Indian companies Nicholas Piramal, Cadila, Shasun, Dishman, Jubilant, Matrix, Strides, Ipca and Divi’s are into contract manufacturing business. In the future, Indian players would move up the value-chain in the contract business, KPMG said. At present Indian companies are involved in the manufacture of active pharmaceutical ingredients and intermediates, solid and liquid dosage forms and simple vaccines. Before investing millions of dollars and many years into a drug, biotechs should think about the commercial viability of the end product. “Don’t treat your R&D process as just a research project,” advises Ferruolo. Not only should your company assess the drug’s activity, management must also determine if there’s a reasonable and timely path to approval. As for its market potential, ask yourself this: Can the drug be differentiated? Will it be reimbursed? Study Medicare and Medicaid and find out how drugs or other products like yours are being reimbursed in the current market. Have realistic expectations, because healthcare costs are on the rise and there’s less tolerance for expensive meds. A super-expensive drug–even an effective one–may not be worth pursuing if there are alternatives on the market. Too often, biotechs don’t raise as much money as they could because management wants to avoid dilution. Often, the decision is made to raise just enough money to the next development milestone, with the assumption that the company will then be able to raise a new round at a higher valuation and thinks the company has enough cash to get by. “That is just plain dumb,” Ferruolo says bluntly. Drug development inevitably takes more money and time than anticipated, so biotechs should raise as much money as they can, when they can. “Alex Zaffaroni use to say, “It’s not the size of your slice of the pie; it’s the size of the pie that matters,'” notes Ferruolo. Too often founders and investors fight over the relative size of their slice of the pie. “Even in this environment, people continue to have unrealistic expectations about valuation.” As a result, a lot of money is sitting on the sidelines and not being put to work in the industry. In addition to raising as much money as possible, biotechs need to pick their VCs wisely. It’s important to pick an experienced VC with deep pockets to lead, one that will be able to syndicate of similar investors. Those are the investors you want on your board to support subsequent rounds, even if they grind you down some on the initial valuation. Early on, get the latest and greatest in regulatory expertise. Make sure your chosen advisor is well-versed in current FDA requirements and issues so that he or she can recommend the best strategy for clinical development and regulatory approval. According to Ferruolo, it is important for biotechs to identify the best regulatory strategy for getting approval, including understanding alternative clinical designs and exploring other indications or endpoints that may be a more viable path to regulatory approval. “Too often companies pursue a regulatory path without critically assessing other possibilities that may be reasonable given the company’s resources and objectives,” says Ferruolo. It’s crucial for biotechs to engage the FDA throughout the course of drug development; not having a dialogue with the agency can delay or even kill a drug. Have a pre-IND meeting with the FDA, if possible. Ferruolo notes that the agency has been reluctant to have IND meetings recently, but companies should try to keep an open line of communication anyway. If your company does manage to score a meeting, take to heart what the agency says. “When the FDA says ‘we think you ought to consider’ something, that should not be viewed as a suggestion, but as a mandate,” he explains. “Companies are foolish if they don’t follow what the FDA has suggested.” A biotech takes on significant and unnecessary risk if it doesn’t follow an FDA suggestion or proactively address the FDA’s concerns. “I once heard a very experienced biotech pioneer say, ‘there’s no such thing as a failed drug, but there are failed trials,'” recalls Ferruolo. “If you have a drug/biologic that has activity, when it fails, it’s not because of the drug or molecule, it fails because you haven’t designed the trial properly.” Do you have the right endpoints? Are they appropriately defined? Are you pursuing the right indications? Know the answers to those questions before starting expensive clinical trials. Pivotal clinical trials must be properly powered based upon the level of activity shown in earlier trials and preclinical studies. Big Pharma typically powers their trials at no less than 80 percent. If you are an emerging biotech designing pivotal trials for the drug candidate that is going to make or break you, you should aim to power the trials at 90 percent. Admittedly, there may be reasons–above all limited financial resources–that will make that hard to do. But the alternative may be that tombstone press release where you have to disclose that while the data from the trials showed “positive trends,” the results were not statistically significant and the endpoints were not met. At long last, you’ve finished your trials, your drug is approved and you’re ready to go–but you don’t have enough of the drug to initiate sales because a manufacturing and supply sources are not in place. It’s an understandable situation for small biotechs, says Ferruolo. Oftentimes they’re not prepared for large scale manufacturing. However, being unprepared to commercialize wastes valuable time and can substantially reduce the ROI. If it takes a company a year to get up to speed, that is one year of lost sales-and a year of patent protection squandered. Especially in difficult funding times, biotechs have to marshall and conserve their resources, and often focus all their efforts on clinical trials. Planning and preparation for manufacturing and commercializing are deferred, often with unrealistic expectations for making up the tie or assuming a partner or buyer will resolve the problem. Lack of such planning has been fatal to many deals. And companies who choose to go it alone often admit they made they made it through pure luck. Ferruolo recalls the words of one Agouron exec talking about the experience of launching Viracept. “He said, ‘If we knew how difficult it was we would have never tried to do it on our own,'” recalls Ferruolo. Agouron was eventually bought out by Pfizer. When it comes to partnering, “a lot of bad decisions have been made.” In the 1990s, biotechs partnered early and went public based on the validation provided by the partnering they did. Biotech companies then came to the view that companies were squandering their potential value by partnering too early. The preferred strategy for biotech became holding on to their programs and developing products themselves. “The problem with this is it almost always takes longer to develop a drug than you think. To advance a drug to its first pivotal trial, a private biotech company may have already raised over $100 million and will need access to the public market to raise more funding. What happens when the public markets are closed and the funds cannot be raised?” Waiting until late in the game to partner means your company is shouldering more of the risk. 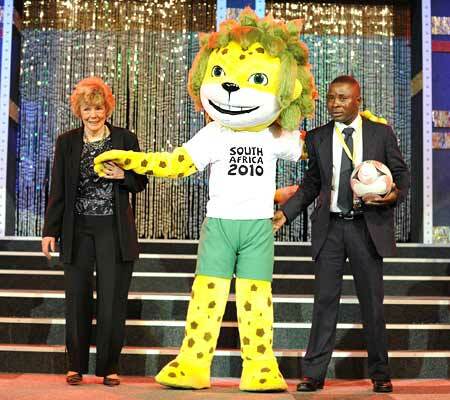 FIFA unveiled Zakumi, the official mascot of the 2010 football World Cup, in Johannesburg at a television gala broadcast nationwide. The ZA in Zakumi stands for South Africa while kumi means ten in assorted African languages. The mascot has been exclusively designed in the host country which will stage the continent’s first ever World Cup. HP (Hewlett Packard) plans to sack 24,600 people over the next three years from its global workforce as part of its restructuring process. Around 50 per cent of the said numbers reduction will happen in the US, reports said. “Workforce reduction plans will vary by country, based on local legal requirements and consultation with works councils and employee representatives, as appropriate. Approximately 7.5 per cent of the combined company’s workforce, or about 24,600 employees, will be affected over the course of the program, with nearly half of the reductions occurring in the United States,” the company said. You are currently browsing the Free to share your thoughts blog archives for September, 2008.